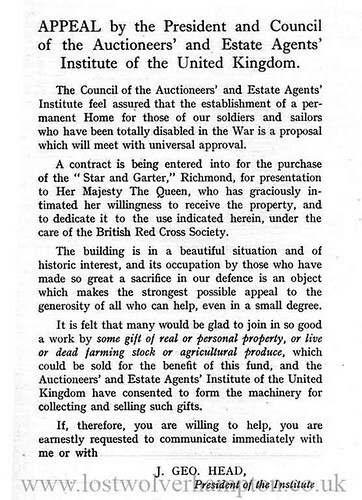 “Help for Heroes” circa 1915 – charitable collections carry on today as they did then only with a different name. The other day in Bridgnorth High Street, I threw some loose change into a bucket, one of many carried by a group of around twenty bikers collecting for the current forces charity “Help for Heroes” a most worthy cause. But it makes me so sad to think that today in 2012 we can climb Everest, put a man on the moon, and cure most disceases that were incurable a century ago. But we are still having to collect charitable donations for men and women killed, maimed and injured, fighting for Great Britain in conflicts in all corners of the world. 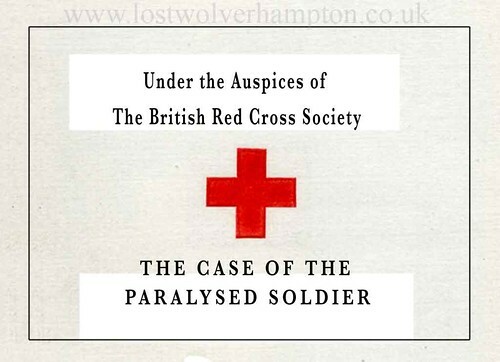 The Case for the Paralysed Soldier. In the aftermath of these grievous war there will be no more lamentable and pathethic figure than the soldier who, by reason of his wounds, is paralysed and left utterley helpless. One is apt to associate such helplessness with extreme old age or with the final phase of some exhausting illness; but here is a man in the very flower of his youth, bedridden for life , unable to move hand or foot, and dependent, at every moment of the day upon the mimistaration of others. In the paralysis of old age there is usually, coincident with the loss of power, a merciful decay of the brain, a loss of mind that merges into mere apathy and oblivion. In case of the stricken soldier, however, the mind is as vigorous and as alert as ever; the eagerness and independence of youth are still aglow in the brain; there is still the intense longing to do, the stimulus to venture, the desire to lay hold of the joys of life; while with this mental energy is associated a body that cannot feel, limbs that cannot move, fingers without touch, and hands as listless as the hands of the dead. Indeed there is no more piteous spectacle of human wreckage than this nervless body, abject in its impotence and decrepitude, linked with therestless and imperious spirit of sturdy manhood. In the headlong rush of the bayonet charge there has been a sudden stab of pain, and the man of arms, terrible in his strength, has become in a moment feebler than a child. He has lost everything but bare life, and, saddest of all, there is taken from him the dearest of all treasures- Hope. Let the people of this country, who are safe and sound, remember that it was in fighting for England that such dire ruin fell upon these men and that it rests with those for whom they fought to afford them whatever comfort it is within the power of man to bestow. After every form of treatment has been attempted and failed, the soldier who is the subject of severe paralysis is retired from the army with a small pension. It is generally assumed he will return to his friends to end his days, and that his pension will defray the cost of his maintenance and care. In the average case this is an impossible position. That he will be treated in his home with affectionate devotion none will doubt, but in cases such as these something more than devotion is needed, if the patient’s life is to be prolonged and if he is to be spared from suffering while life lasts. He will need skilled and indeed special nursing; he will require a particular type of bed, together with appliances which are not within the reach of the poor and are not capable of being handled by the untrained. The cottage bedroom is often small and cramped while the prospect of a bed being moved, day by day, into the open air is very remote. When the difficulties and disadvantages are grasped and found in superable, one knows what happens – the patient is moved to the wards of a workhouse infirmary, and there his career comes to an end with little glory to those who say that the wounded soldier shall lack for nothing, and that England is grateful to all who have fought for her freedom. It rests with the well to do to mend this matter, to rid the country of reproach and to perform, not merely an act of kindness, but an act of justice. The Queen’s Letter from Windsor. By generosity of the members of the Auctioneers and Estate Agents Institute of the United Kingdom, the Star and Garter Hotel, on Richmond, is being purchased for the presentation to H.M. The Queen. The Queen – devouted as Her Majesty is to whatever concerns the sick and wounded -has been deeply moved by the knowledge that a large number of our soldiers are lying in various hospitals hopelessly paralysed. 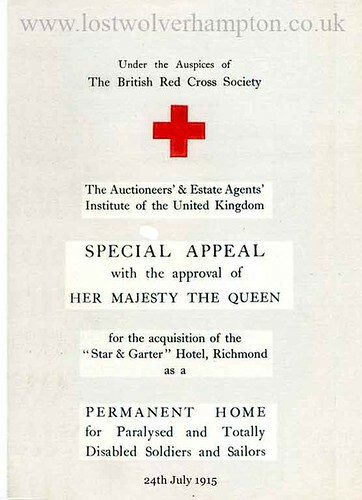 Her Majesty has therefore been graciously pleased to announce that it is her intention to hand over this important building to the British Red Cross Society and has expressed a wish that, under the control management of that Society, it should be devoted to the care of such totally disabled men as are retired from the service. 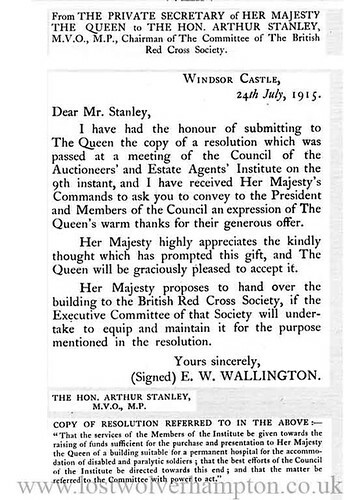 The British Red Cross Society has gratefully received the intimation of the Queens intention, and has undertaken to equip and maintain the institution in conformity with Her Majesties wishes. The historical hotel stands on the summit of Richmond Hill, Surrey on the confines of Richmond Park. 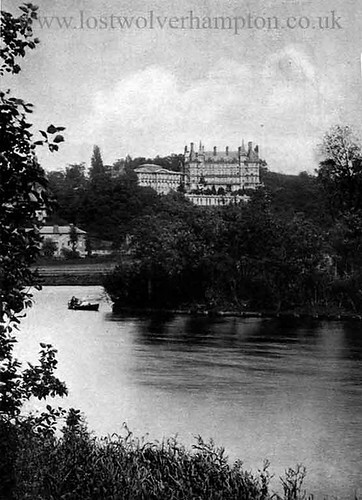 The views extend across the Thames Valley to several of the Home Counties, and the hotel is within the Borough of Richmond in which the early days of Her majesty were spent. The property which cost over £80.000, is being purchased for £21,500. The hotel at present contains about 100 bedrooms and magnificent reception rooms . A feature of the estate is its beautiful terraces, gardens and grounds, facing south-west, and the building is eminently suitable for a permanent home for paralysed and totally disabled soldiers and sailors. The Moneys collected will be devoted to the purchase of the property. The necessary alterations, equipment and maintenance, on the handing over of the building by the Queen, will be undertaken by the British Red Cross Society for the above purposes. The annexe will be opened in about three months, but extensive alterations are necessary to the main building. 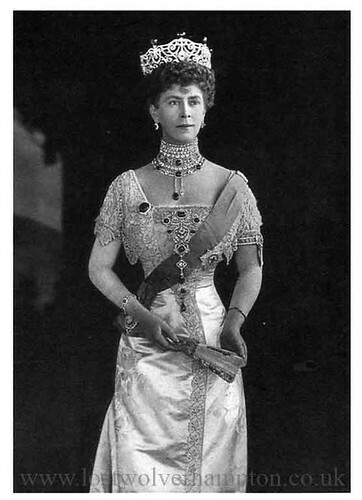 Her Majesty Queen Mary wife of George 5th Who gave her approval of this special appeal. The famous Star and Garter. 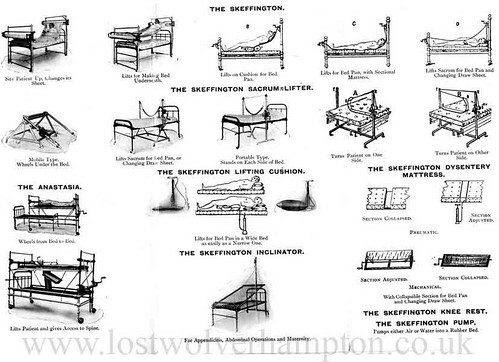 The ground floor will accommodate about 135 beds, and it is proposed that these beds (and these beds alone) should be occupied by the absolutely helpless. The reasons for this arrangement are obvious. By means of a series of special exits all the beds can be mved rapidly into the open in the event of fire. Each bed will be provided with large wheels on ball-bearing joints so that a nurse, single-handed, can with ease draw a bed out of the building. By a like arrangement the beds can be taken into the garden over the Thames so that on every suitable occaision the patient can spend some hours in the open air. The first floor will be given up to disabled men who can walk and who could find an easy escape, by means of lifts and staircases, in the event of fire, on the one hand, and who could reach the garden or park unaided, on the other. The remaining floors will be allotted to the personnel, with a certain especial provision. A series of rooms will be devoted to guests , not the type of visitor who patronised the hotel in the days of its glory, but to the relatives of patients in the wards. The sick men will wish to see their friends, but when those friends have come from a distance their visits will of necessity be short, unless they seek lodgings in the town. It is proposed that each man shall have the privilege of inviting a relative or friend to stay with him for a week-end or for two or three days . In the case of patients who are dying it will be a great comfort to them to know that those nearest to them are actually living under the same roof and are able to be with them to the end. He has fought his fight, he has met his fate; let him feel that the loving kindness of the land for which he died is around him when the bugle, from afar off, summons him to “The Last Post”. Appeal by the President and Council of the Auctioneers and Estate Agents Institute of the United Kingdom. It is felt many would be glad to join in so good a work by some gift of real or personal property, or live or dead farming stock or agricultural produce, which could be sold for the benefit of this fund, and the Auctioneers and Estate Agents Institute of the United Kingdom have consented to form the machinery for collecting and selling such gifts. If therefore, you are willing to help, you are earnestly requested to communicate with me or with J. George Head, President of the Institute. 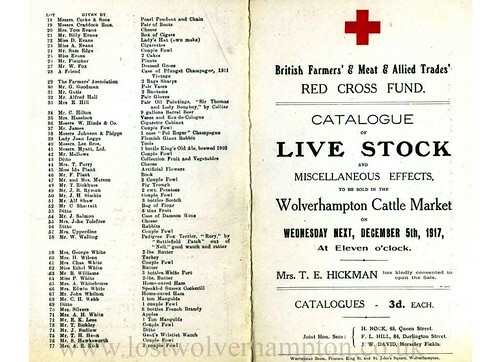 British Farmers Red Cross Fund Appeal to Wolverhampton and District. In the 19th century people wealthy or otherwise helping the less fortunate. many of whom they had never or were ever likley to meet, was very much in evidence here in Wolverhampton. Just take the Farmers Red Cross Fund. 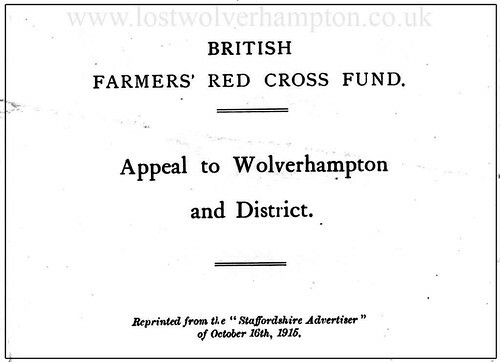 On October 16th 1915 this Fund Raising appeal to Wolverhampton and District was sent out. Under the auspices of the Staffordshire Chamber of Agriculture a meeting of farmers and others was held in Wolverhampton Cattle Market on Wednesday afternoon for the purpose of enlisting sympathy and support on behalf of the British Farmers Red Cross Fund, the object of which is to raise £250,000 for Red Cross work at the front. 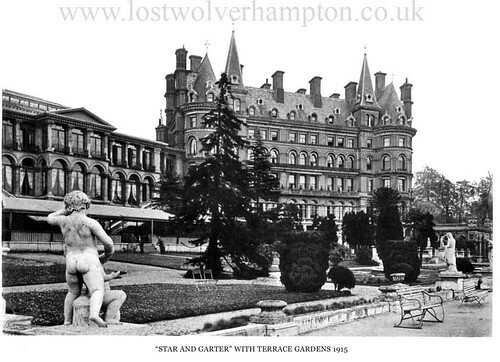 It is proposed to hold a public sale by auction at Wolverhampton in aid of the fund. Great Jumble Sale in the Wholesale Market, Wulfruna Street, Wolverhampton 1915. At the meeting Mr Arthur Jenks (chairman of the Branch) , presiding over a good attendance said; The fund at present stands at £100,000, and it is hoped to make it up to a quarter of a million. and the farmers in the local districts are asked to do their bit to help obtain this some. It was hoped to arrange as had been done in other districts, a kind of Jumble Sale on a date, probably a Thursday, covenient to butchers, cattle-dealers, farmers and the general public. The idea was everyone should give something and everyone should buy something. He appealed for there hearty support and trusted that in Wolverhampton and district they would show they were patriotic as in other places . To make the scheme a success, it would be necessary to have a large band of canvassers, and he hoped that every gentleman present would induce his neighbour to give something either in money or in kind to the fund. Mrs T. E. Hickman (of Wergs Hall) opened the sale at 12 O’clock prompt! Live Stock Sale at the Cattle Market Bilston Street, Wolverhampton 1916. As you can see from this further sale 12 months later at another fund raising sale this one opened by Lady Mander and these fund raising activities would continue for the duration of the conflict. 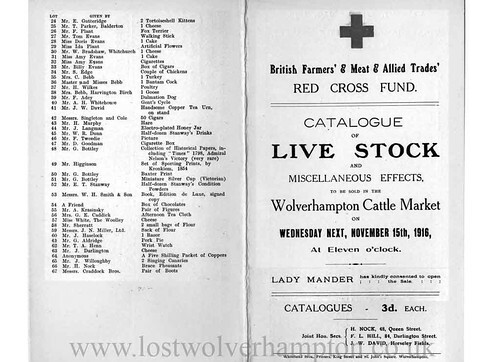 Sale of Live Stock and Miscellaneous Effects at the Cattle Market Bilston Street, Wolverhampton 1917. 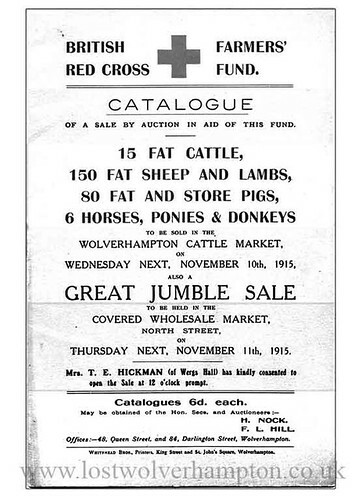 Again 12 months later a similar sale at the Cattle Market opened at 11.00 O’clock on December 5th 1917. Again by Mrs T E Hickman and Including in the many items in the catalogue is A turnout, comprising of a 4yr old pony, Governess Car, and harness from Mr Walter Bantock. 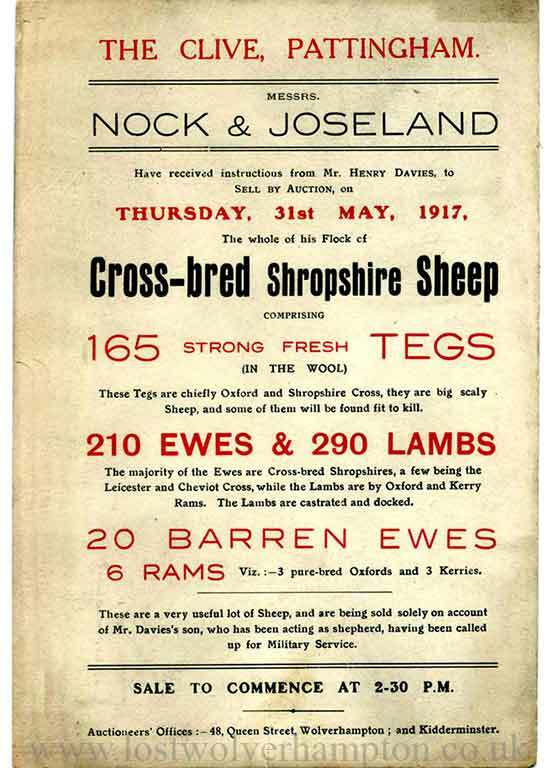 Sale of Live Stock at The Clive Farm Pattingham 1917. 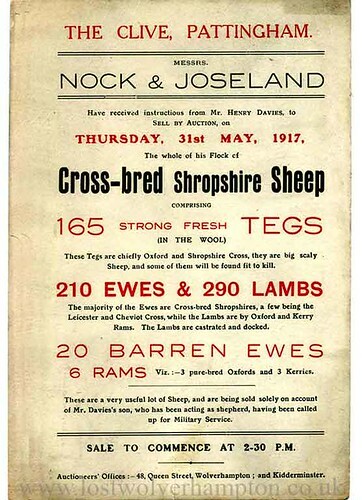 These being sold solely on account of Mr Davies son, who has been acting as shepherd having been called up for Military service. I often wonder if he had the good fortune to survive the last 12 months of the war. God this – God that- and God the other thing. My God, said God, I’ve got my work cut out. And I regret to say; dont we know it!